Mary Lynn Rajskub (TV's "24") will guest star in an upcoming episode of Brooklyn Nine-Nine, FOX revealed today. The actress is set to play "Genevieve", the owner of a successful art gallery whom Charles thinks could be his soulmate. Rajskub isn't the only actress set to play a potential love interest for Boyle. The Good Wife's Archie Panjabi is set to appear in the second episode of the season as Lieutenant Knox, a police officer who has her eye on Boyle. 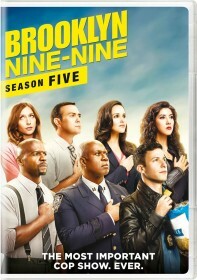 Brooklyn Nine-Nine returns for its third season on Sunday, September 27. at 8/7c on FOX.